Fortunately, today's production of "Eugene Onegin" (Tchaikovsky's most human and emotionally powerful opera) is one of the best, and visually cleanest, in the Met's repertoire. Why See Canadian Opera Company - Eugene Onegin? 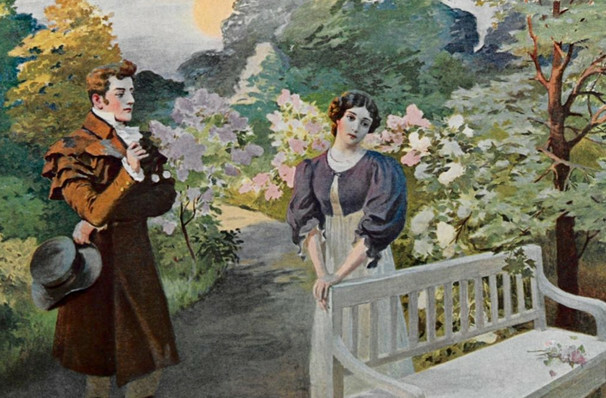 Published in the early 1800s, Pushkin's iconic tale of love and its eponymous protagonist served as a basis for many of his home country's literary heroes thereafter. Eugene Onegin's riveting tale of tragic romance was further immortalised by Romantic-era giant Tchaikovsky in 1879, and the opera's proudly Russian rhythms, heartrending duets and moving arias have kept it a firm favorite with audiences ever since. Experience its thrilling passion and emotion-stirring score during the Canada Opera Company's revival of Robert Carson's critically acclaimed Met Opera staging this fall. Carson transports the action to Pushkin's times, setting the opera in the 20s and 30s with a minimalist design that shines a light firmly on the music. Bass-baritone Gordon Bitner stars as the dashing Onegin, who is introduced to Madame Larina and her two daughters Tatyana and Olga through Olga's poet fiance Lensky. Tatyana is immediately drawn to the handsome young man, but he arrogantly and coolly rejects her impulsive declaration of love, causing a cataclysm of death and love unreturned. 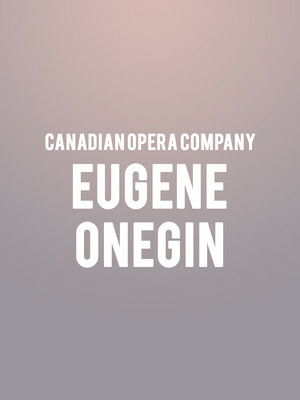 Seen Canadian Opera Company - Eugene Onegin? Loved it? Hated it? Sound good to you? Share this page on social media and let your friends know about Canadian Opera Company - Eugene Onegin at Four Seasons Centre. Please note: All prices are listed in US Dollars (USD). The term Four Seasons Centre and/or Canadian Opera Company - Eugene Onegin as well as all associated graphics, logos, and/or other trademarks, tradenames or copyrights are the property of the Four Seasons Centre and/or Canadian Opera Company - Eugene Onegin and are used herein for factual descriptive purposes only. We are in no way associated with or authorized by the Four Seasons Centre and/or Canadian Opera Company - Eugene Onegin and neither that entity nor any of its affiliates have licensed or endorsed us to sell tickets, goods and or services in conjunction with their events.